A reference used often interviews is “throwing them a softball.” It typically refers to avoiding gritty, challenging questions (e.g. : “mr. obama, how are you going to get us out of deficit in 4 years…?”) and instead throwing the person an easy question (e.g. : “mr. obama, what is your favorite color?”). I don’t like to be a hiker who hikes softballs. However, with my toe as swollen and painful as it was today, I hiked a softball. 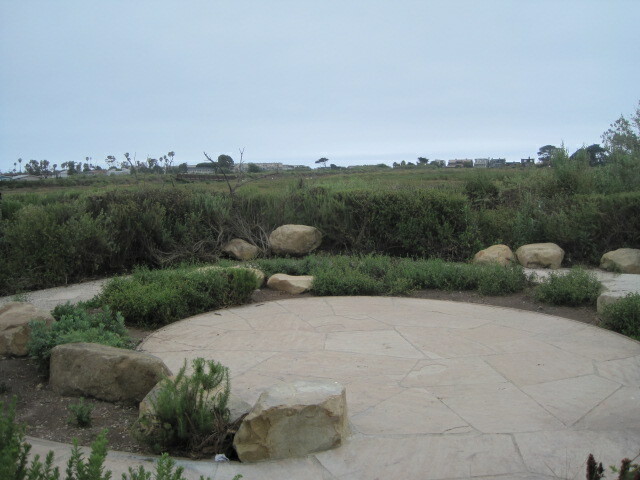 I hiked a portion of the Salt Marsh loop in Carpinteria. The Salt Marsh is, well, a marsh of salt water. 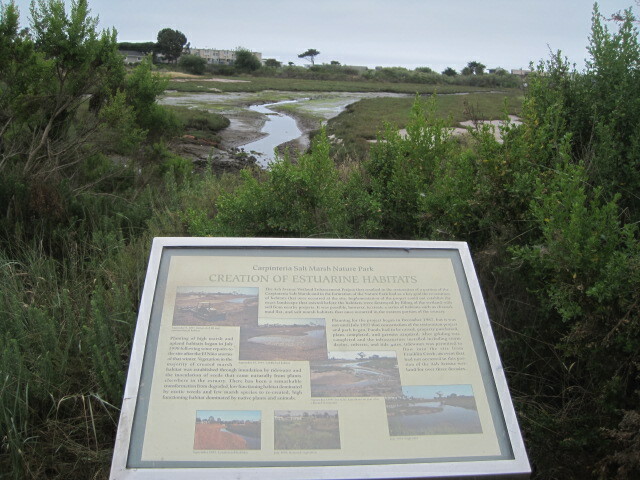 It’s fed by an inlet that connects it to the Pacific. The Carp Salt Marsh is loaded with all sorts of cool bird species, plant species, and anything else that is seeking out a sanctuary. It also is home to flat hikes. I hiked in a half mile, then back to the beginning, making it just over a mile I traveled. I did it in my new Teva open toe sandals, so as to not exacerbate my darned big toe even more. I was far from sweating but the morning mist and tranquil setting gave me a wonderful start to a busy day. Getting there: Take the 101 to Carpinteria/Linden Ave. Take Linden south towards the beach, and turn right at the last stop sign before the road ends. Next take that street to where it ends. 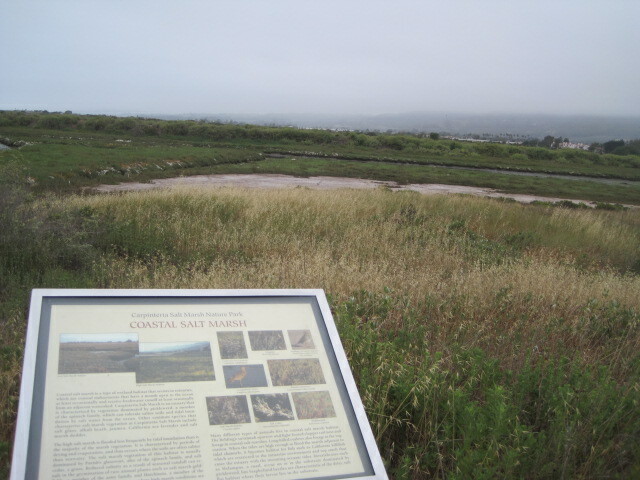 The Salt Marsh is clearly marked. You can park on the street; no pass needed. 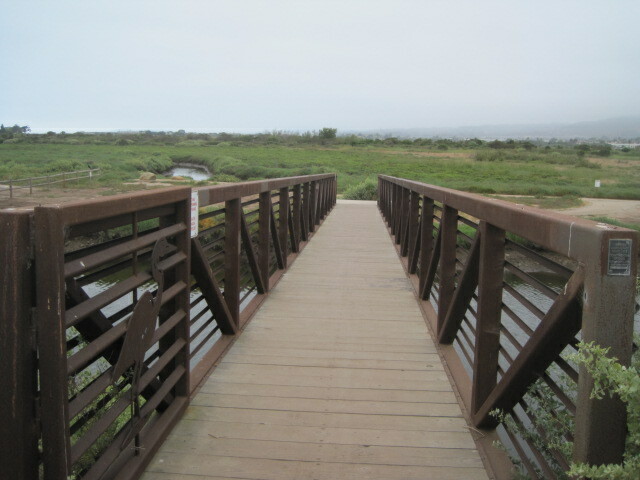 Posted on June 14, 2012, in hiking and tagged carpinteria, flat hike, hiking, salt marsh. Bookmark the permalink. 1 Comment.